It has been a long road to suction-dredge mining reform in Oregon, but this campaign is close to finalizing permanent protections for Oregon’s iconic rivers and wild salmon. Suction dredging is an incredibly harmful, gold-mining practice that involves sucking up fragile river bottoms through a large, gas-powered vacuum. This mining practice is damaging in numerous ways, but most importantly, it impairs water quality and the recovery of wild salmon. This mining technique first crossed Cascadia’s radar in 2009, when the American Fisheries Society first began pressuring the California Legislature to ban the practice that was harming salmon runs. Ultimately in 2012, California banned suction dredging legislatively. In the meantime, they began migrating north into Oregon, and dedgers began targeting some of Oregon’s most treasured waterways including the Rogue, South Umpqua and Illinois Rivers. From 2009 to 2012, the number of dredging permits issued doubled from approximately 900 to nearly 2,000 in Oregon. Because there was little oversight of the practice in Oregon, miners were running amok in some of the best salmon-spawning habitat in the state. Cascadia Wildlands combined efforts with numerous other conservation organizations, recreation groups, and commercial fishing interests and began a campaign to reform this harmful practice. In 2013, our coalition was able to get two bills introduced to address the issue. The first bill, Senate Bill 401, updated Oregon’s list of State Scenic Waterways to enable the state to protect these areas from mining. The second bill, Senate Bill 838 championed by the late senator Alan Bates, placed a moratorium on suction-dredging in salmon habitat until 2018, until which time state agencies would implement a permitted, regulatory system. 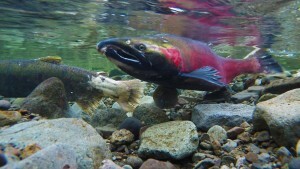 After a hard-fought battle in the Legislature, the Governor ultimate signed Senate Bill 838, which placed a temporary moratorium on suction-dredge mining in key salmon habitat in Oregon. The bill also convened a working group with stakeholders, including the miners and conservationists, to develop the permit and regulatory system that would be implemented by the state after the expiration of the moratorium. Simultaneously, miners elected to sue the state in an attempt to invalidate the recently passed legislation and argued that Oregon did not have the authority to regulate mining due to conflicts with an archaic, federal mining law passed in 1872. Cascadia and our allies intervened in the legislation, and on March 25, 2016, the Court dismissed the miners’ challenge, which is currently being appealed to the Ninth Circuit. 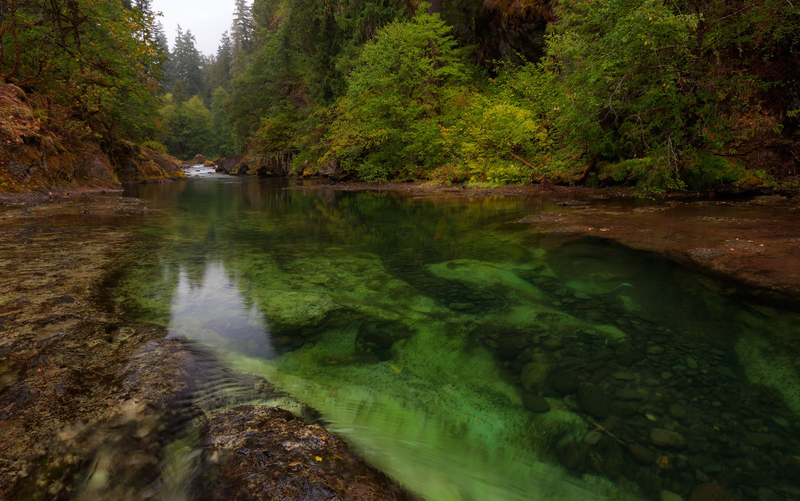 In the midst of the litigation, Cascadia moved forward and worked with our partners and state officials in developing permanent reforms to prevent this harmful gold mining from adversely impacting imperiled aquatic species. Our solution has culminated in Senate Bill 3-8, which recently passed Oregon’s Senate and will be scheduled for a House vote soon. Your voice is needed for a final push to achieve victory for Oregonians, clean water and wild salmon. Take action here, and urge your Representative to vote yes on Senate Bill 3-8. Previous Previous post: Battle for the Elliott State Forest Won! Land Board Votes to Keep Forest Public!